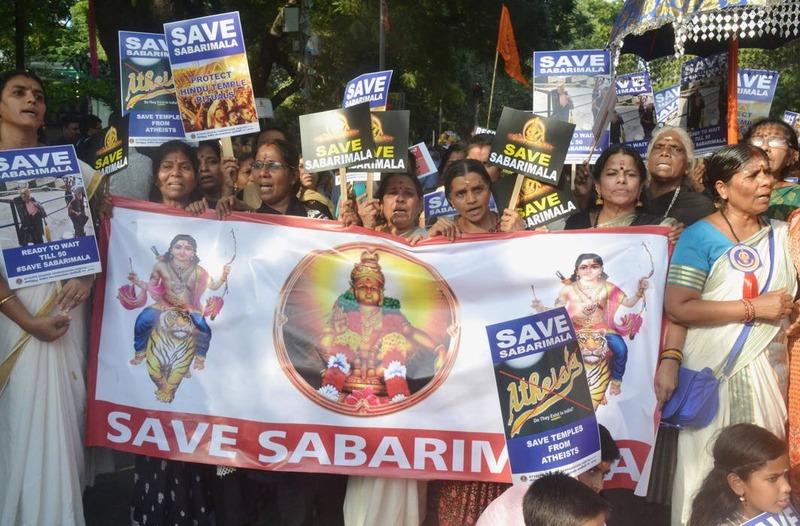 The Supreme Court has agreed to hear review petitions challenging its September 28 verdict that allowed entry of women of all ages into Sabarimala temple. The apex court has agreed to hear all 49 review petitions in open court on January 22, 2019. The batch of petitions is seeking review of the judgment has been taken up for consideration in-chamber by a bench of Chief Justice Gogoi and justices R F Nariman, A M Khanwilkar, D Y Chandrachud and Indu Malhotra. The Court however made it clear there will be no stay on its verdict which allowed entry of women of all age groups in Sabarimala temple. The Kerala government, which had vowed to implement the SC verdict, said it has not yet decided what to do and would only react after reading Tuesday’s order in detail. Travancore Devaswom Board (TDB) has said it will decide on further course of action after consulting the state government. The decision comes as a shot in the arm for the protestors who had been opposing the entry of women of menstruation age to inside the premises. The centuries old restrictions on entry of women devotees between the 10-50 age group worshipping in the shrine had been lifted by the Supreme Court on September 28. With the CPI (M)-led Left Democratic Front government making it clear that it was constitutionally bound to implement the verdict, devotees and right wing outfits had launched massive protests and prayer marches against entry of young women. Over 3,700 people had been arrested for violence during Sabarimala protests across the state after the apex court ruling. When the temple opened for the annual pilgrimage season on October 17, there was tension and frequent incidents of violence as pro and anti women’s entry groups clashed along the routes to the temple. Earlier in the day, the Special Commissioner’s report in Kerala high court stated that several persons had assembled at Sabarimala on November 5 to prevent entry of women. A woman devotee, who was aged above 50 years, was subjected to harassment and intimidation when she attempted to visit temple. She could visit temple only with police assistance.